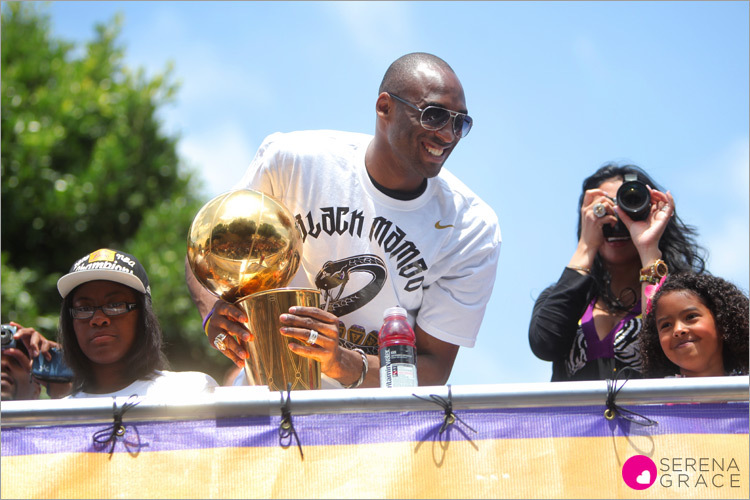 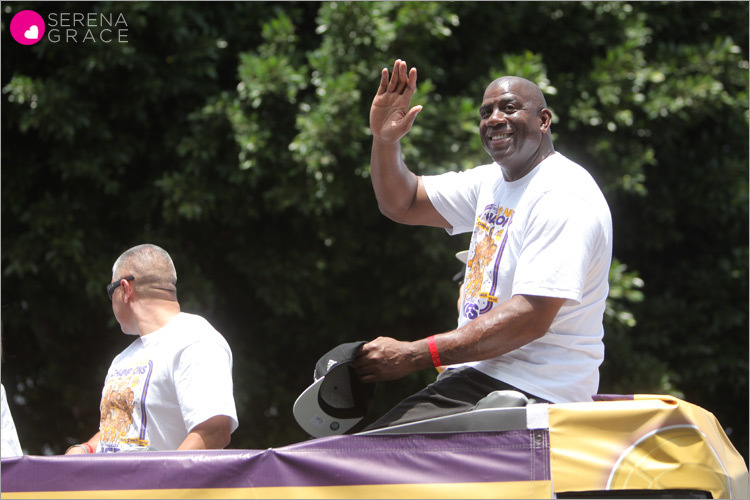 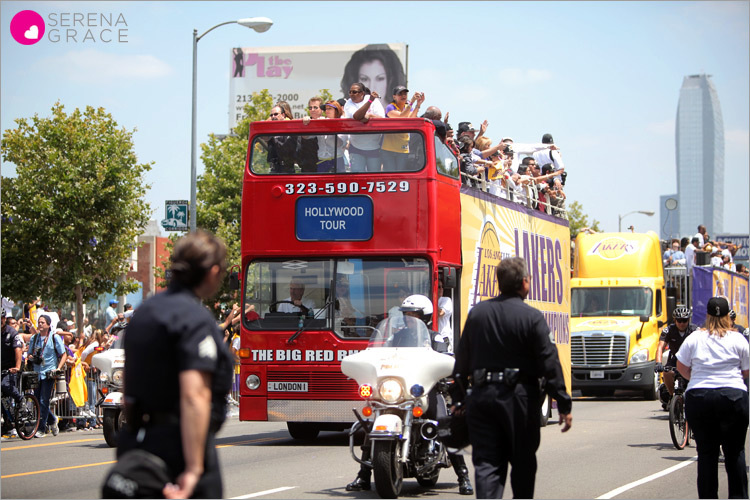 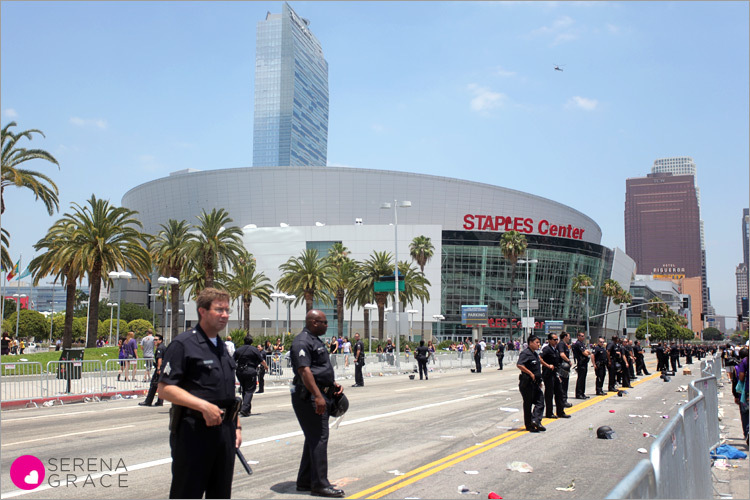 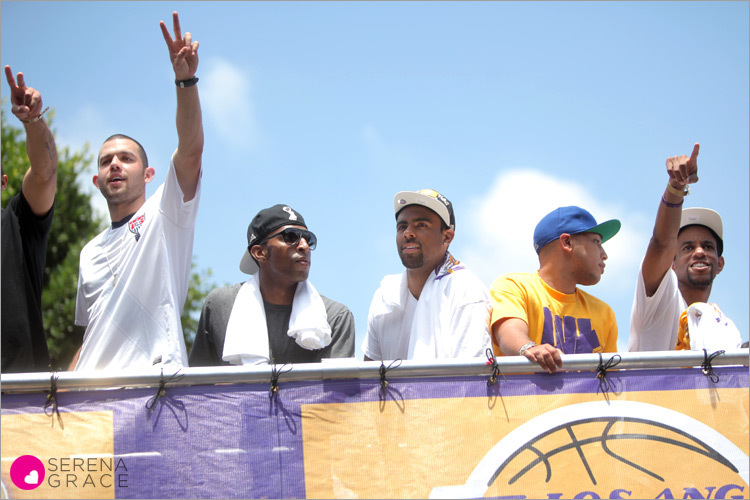 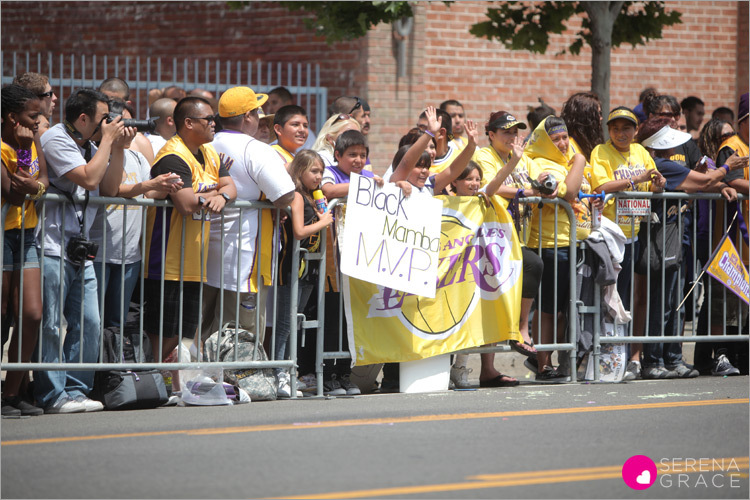 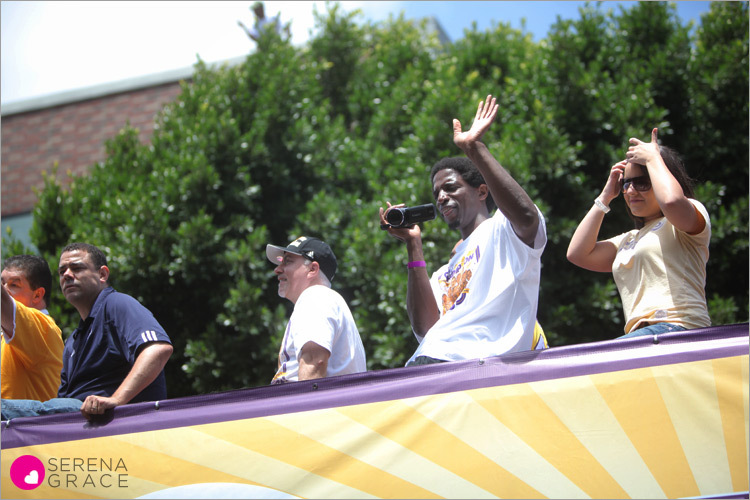 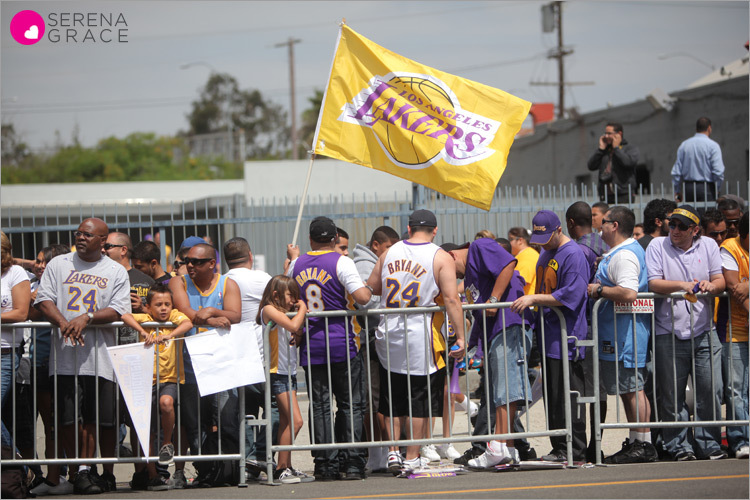 Yesterday I headed out to the Lakers Championship Parade again! 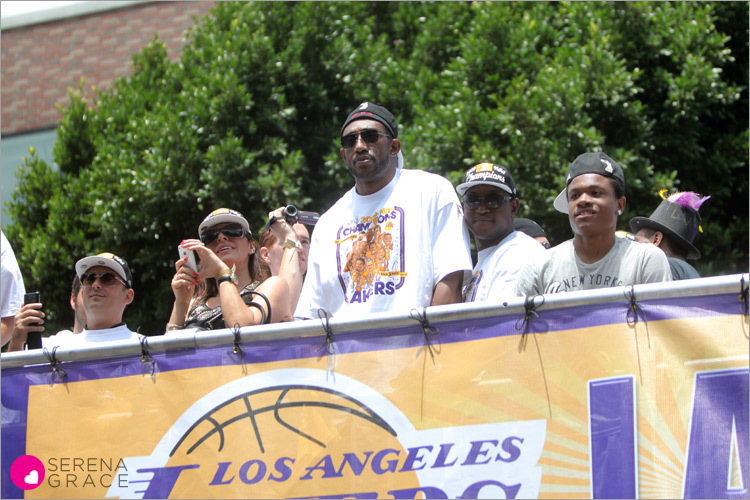 Last year’s parade was so much fun that I couldn’t miss out on this year’s parade. 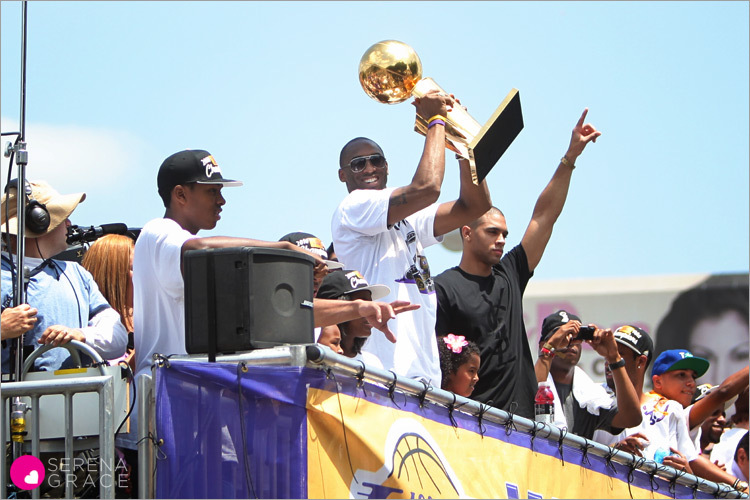 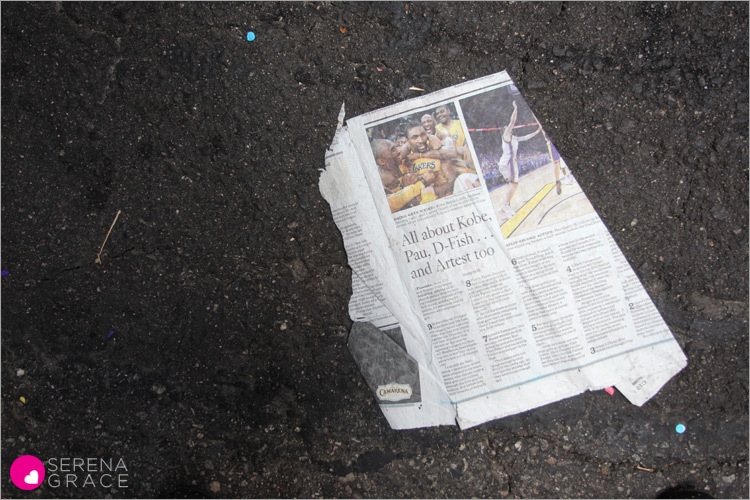 Especially after a back-to-back win…..against the Celtics…..in Game 7! 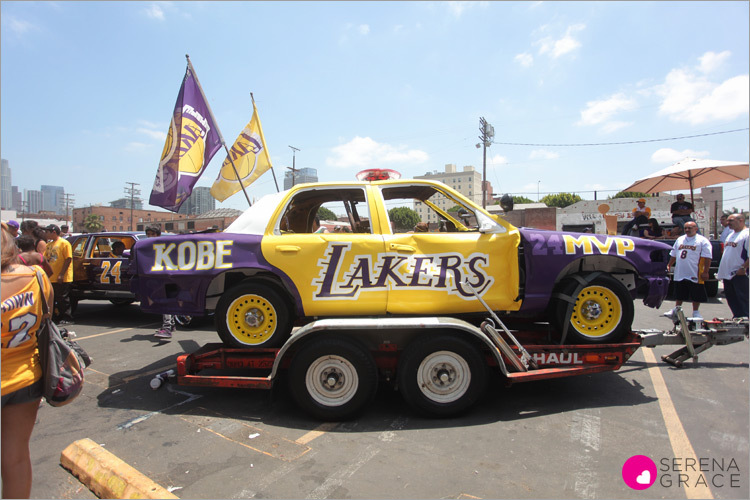 Oh man, I seriously almost had a heart attack watching that game. 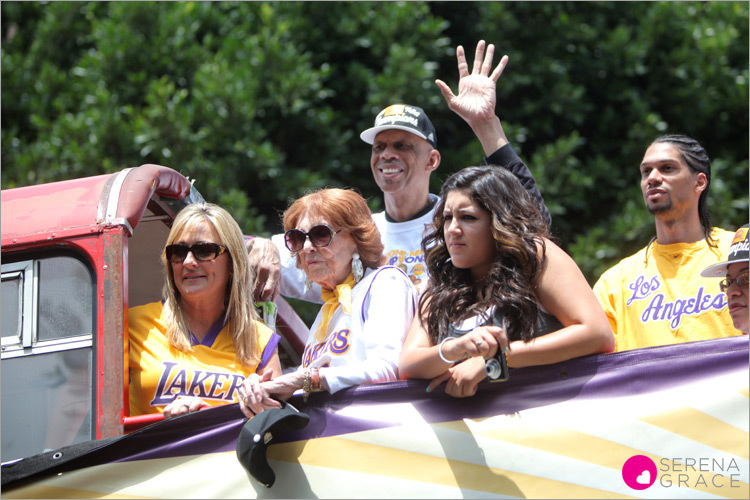 But the team pulled together for a win, and I got to celebrate with hundreds of thousands of other Lakers fans at the parade! 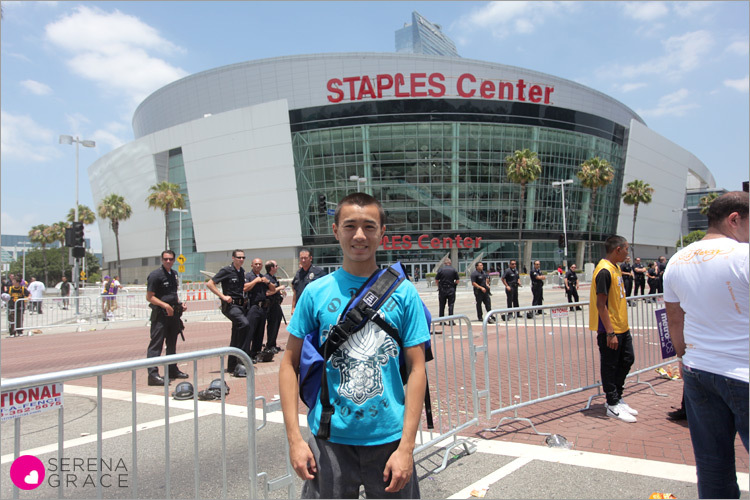 Last year I went on my own, but this year I had some friends to celebrate with! 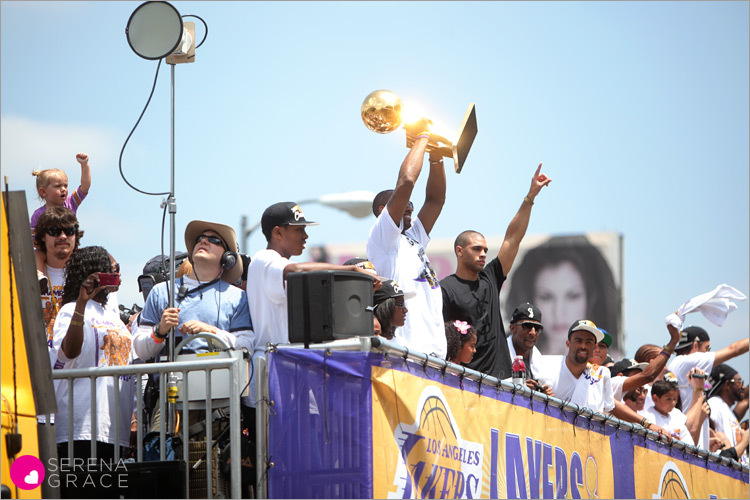 I like how the Larry O’Brien Trophy is gleaming in the sun! 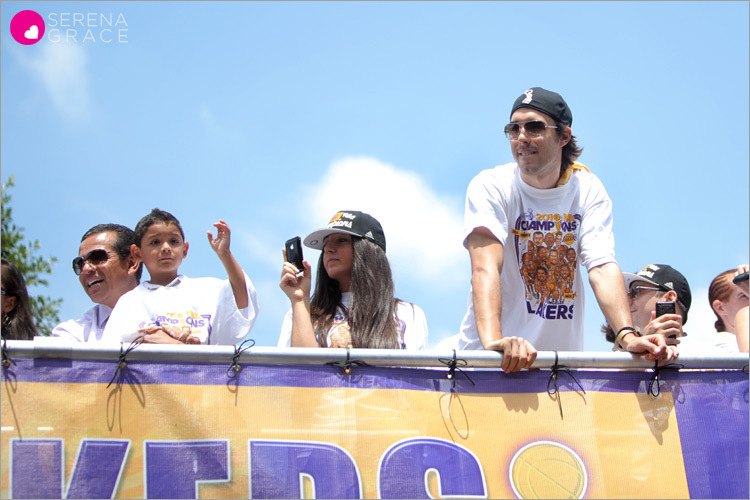 And check out how cute Adam Morrison’s daughter is on the left! 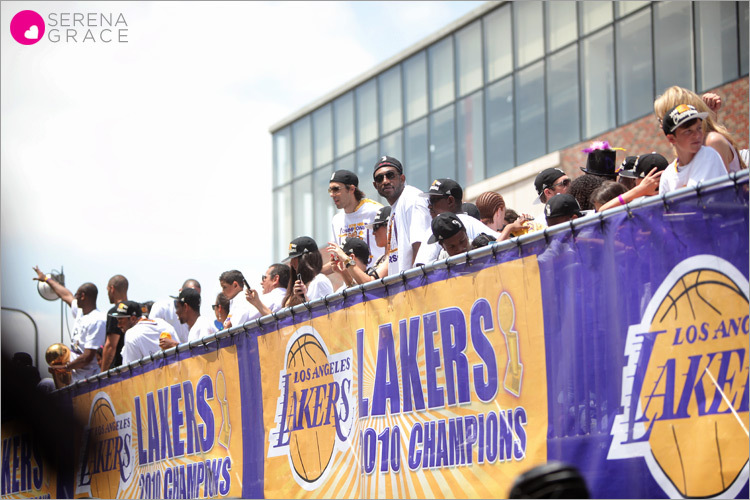 Soooooooo many people were at the parade! 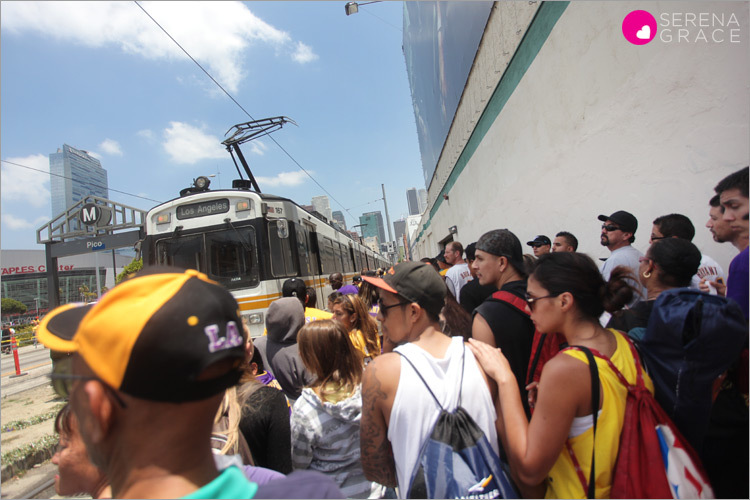 There was a super long wait to get back on the Metro! 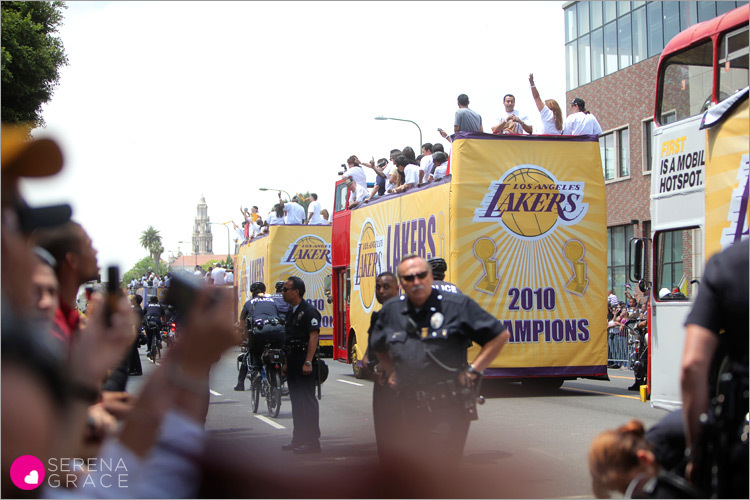 It was easy getting to downtown, but a lot tougher to leave this year. 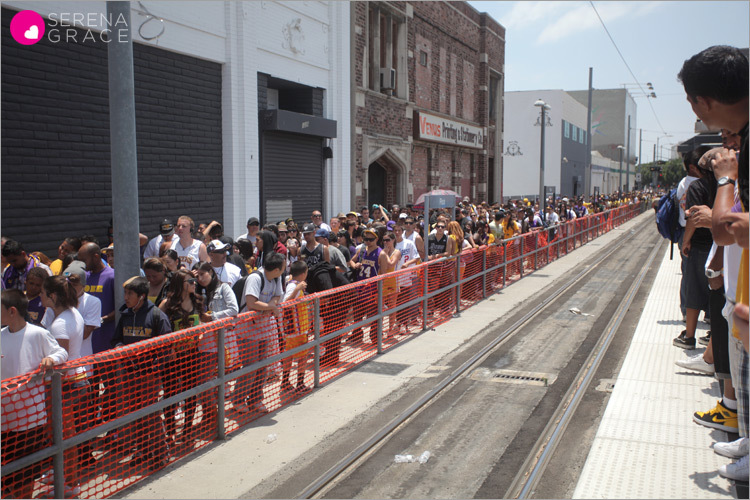 Check out how long that line was! 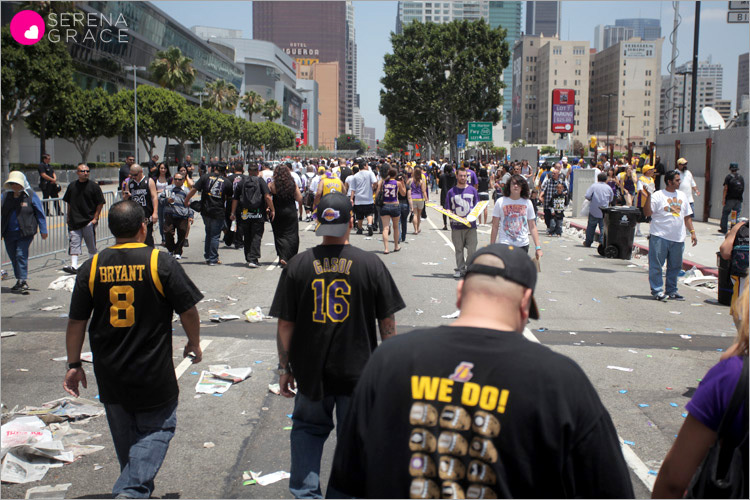 And this was an hour & a half after the parade had finished.